Hello everyone. Thank you very much for using add-on which I made. This time I‘ll introduce new addons using a new thread. 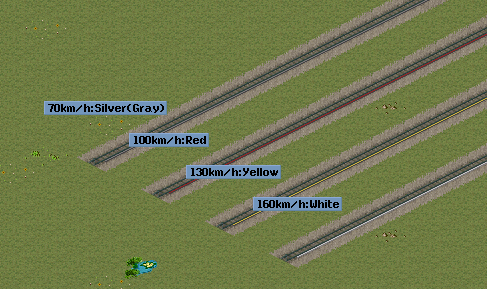 This add-on is a catenary line that "Third rail" can be reproduced in pak64. It is recommended for subway and suburban railway. To create these add-ons, I referred to the add-on created by dora and H.Yagami.